Nine to fifteen feet, thats a surf rod! Longer for surf beaches is better, ten foot is about right for off the rocks. 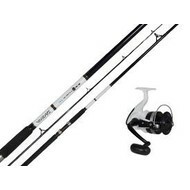 Surf rods com in one two and three piece variants. 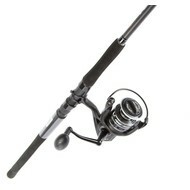 Match with a long cast reel.